Many historians believe that the game of Bowls developed from the Egyptians. This belief was based on artifacts found in tombs circa 5000 depicting the Egyptians playing skittles with round stones. Famous past players include Sir Francis Drake, Henry VIII, Richard II and Edward III. It came under the ban of King and Parliament as it was considered a threat to the practice of archery at that time, which was then so crucial to fighting battles. Circa 1511, Henry VIII requested that anybody with land who wished to keep a green should pay a fee of £100 and it could only be used for private play. King James I later issued a publication called "The Book of Sports" encouraging the game of bowls and condemning football and golf. In 1864, a Cotton Merchant named William Wallace Mitchell published his "Manual of Bowls Playing" and this became the basis of the rules of the game played today. The oldest lawn bowls site still in play today is in Southampton and dates back to 1299 AD. 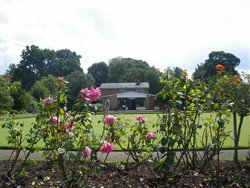 Pelhams Bowls Club has now been open for fifty two years and is situated in the grounds of Pelhams Park. After the first inaugural meeting took place on 18th October 1957 R.W. Trevett M.B.E. became the first President of Pelhams Bowling Club in 1958. In addition the other nine Founder members were Boyle, R.G. Broomfield, F.F. Dennis, W. Adams, A.H. Beasley, W.S. Haddock, G. Painter F.H. Truman and E.S. Fry. For interesting reading there is a written tribute and record of Pelhams Bowls Club written by Jim Nicholls (deceased) President 1997 covering the period 1958 to 2000 in the Clubhouse. This is available for all members to read. In 1985 while Ted Banks was President of Pelhams Bowling Club he approached Janet Stukins with regard to forming a club for the ladies. This meeting was held on 8th October 1985 and the first committee for the ladies was formed. In 1986 the first female President was Eileen Brown. The first female Management Committee in addition to Eileen Brown, were A. Monitz, A. Farris, J. Stukins and E. Plail. Before they could proceed permission from the Town Hall was required, approval of the Men's Club and they had to ask the Bournemouth & District Women's Bowling Association to accept them. Although they met resistance, with perserverance they succeeded and in February 1986 they held their first Spring Meeting. For their first season they played eleven matches and the rest, as they say, is history! There is a written record for Pelhams Women's Bowling Club called The First Ten Years compiled by Eileen Brown together with a photographic record in the Clubhouse covering all major events from 1986 through to 1996 for everyone to see. Today Pelhams is a mixed and very friendly bowls club open to all who are interested in bowls or would like to learn how to play. Lawn Bowls is high on the list of the most played and watched sport and is enjoyed by thousands of young and not so young people throughout the world.